Oh, friends. This weekend, I was quite the happy bookworm as I got to attend the LA Times Festival of Books. And I did it with some of my fabulous book club buddies. And wine! (No, actually, I didn’t have any wine. But only because I was afraid of how stupid I’d act with it considering how stupid I was acting without it). For those of you who haven’t been, The Festival of Books is this crazy fabulous event held every spring on the USC campus. The school itself is gorgeous and there are tents everywhere for every kind of book, genre, interest and publisher imaginable. There were tents for healthy cookbooks, tents for comic books, tents for self-publishing houses, and independent bookstores. There were also several conversation panels, and authors signing books like gangbusters. It was amazing, if not a little overwhelming. This was the first year I’d attended because honestly, I’m super-lazy. I don’t want to drive all the way to LA (which is really only an hour drive, BUT STILL), and I don’t want to walk around in the sun and be hot, and as much as I love my adorable family, I don’t want to drag them around while I freak out over authors and act like a fool. But this year I couldn’t resist. This year there was a panel with …hold on.. Gayle Forman, Morgan Matson, Sarah Dessen, and Robin Benway, moderated by Holly Goldberg Sloan. All in one room. Needless to say, I had to go. And I’m so happy my book clubbers are as devoted as me because they were so psyched to be there too. And not just because of the wine, I swear. They are all YA girls at heart. 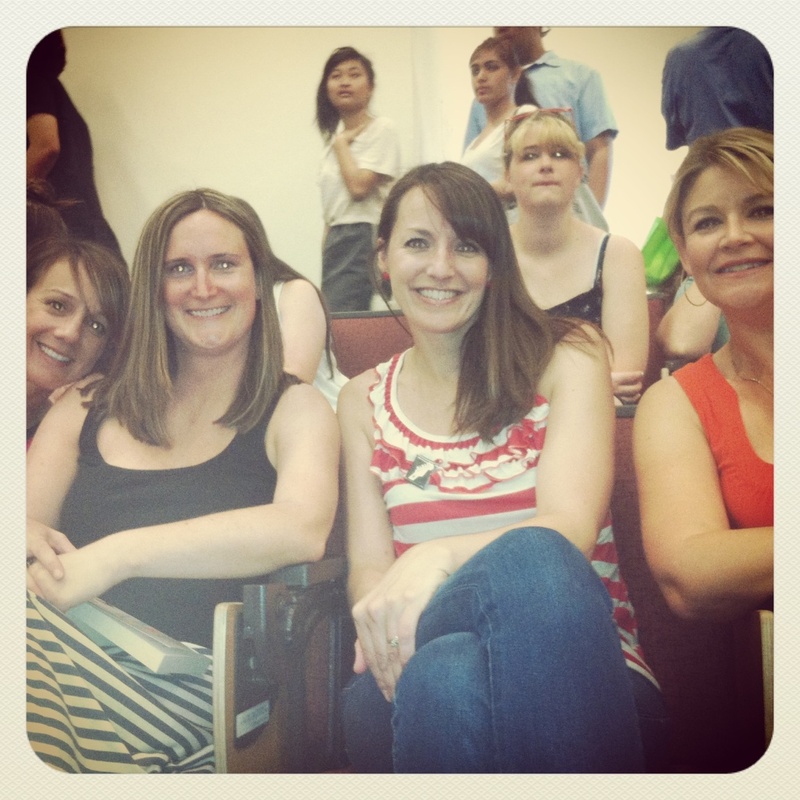 Just a few of my lovely book club sisters. I may look calm and collected (in the red & white shirt) but inside am FREAKING out. The panel was fabulous. The ladies were funny. They shared about their high school selves, their writing experience, who they write for and they even took questions from the audience.They were all so nice, so friendly and gracious. I was totally freaking out though. 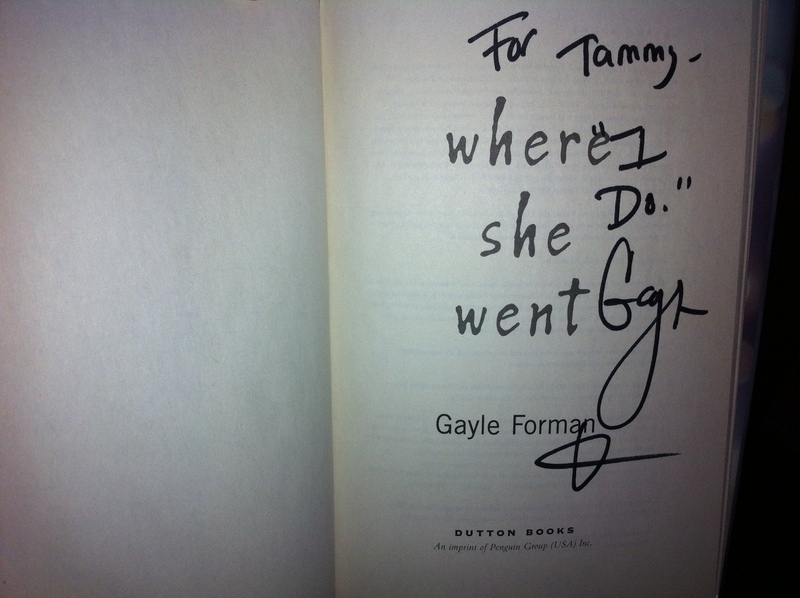 Especially about meeting Gayle Forman (hello, I once told her I wanted to marry one of her books. Not so smooth). 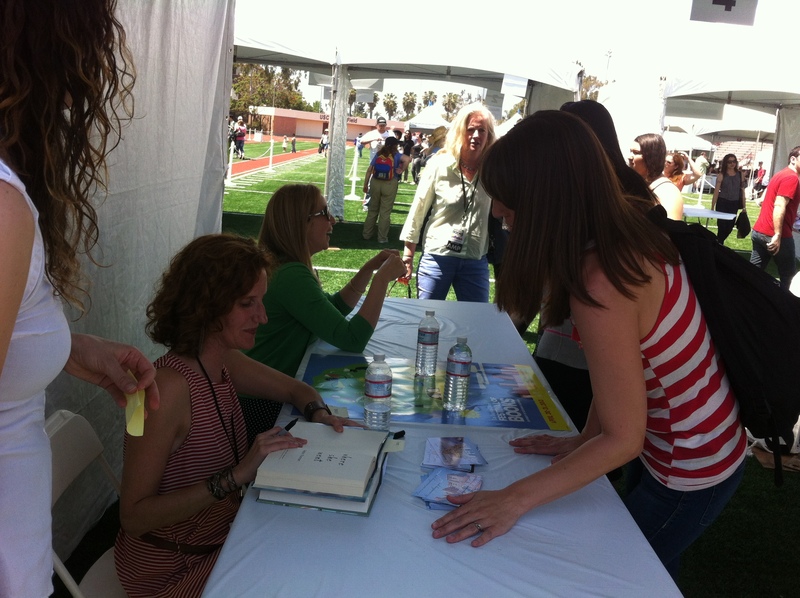 This is me rambling like idiot to Gayle Forman while my friends giggled in the background. Because she remembered the thing about marrying her book. Yep. I was equal parts embarrassed and excited. Then there was Sarah Dessen (OMG what do you even say to her? Hi, I totally stalk you online?). This is Robin Benway. She was so sweet! I didn’t get pics with Morgan Matson (who was so funny in the panel, but I did not get to meet her) or Holly Goldberg Sloan. 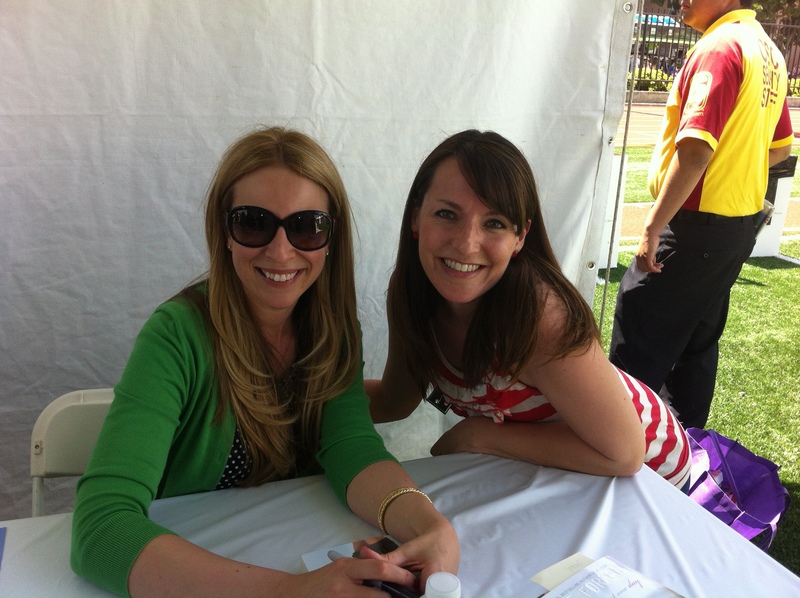 I noticed Sloan leaving when I was stumbling all over Gayle Forman’s table and was able to flag her down and get her to sign my book too (doing my best Melissa Joan Hart in Can’t Hardly Wait). Seriously? One of the best, nerdiest days ever. OMG TEEEEEEE. I’m sooooo jealous!!! 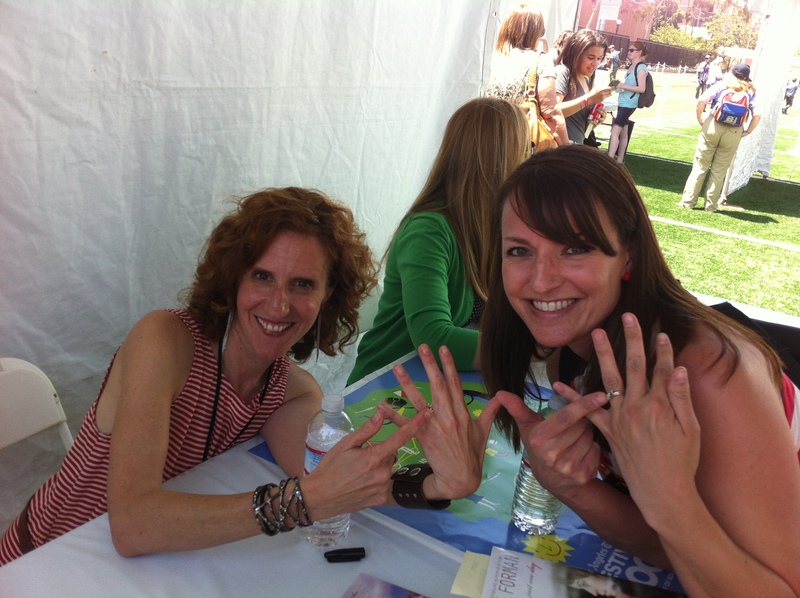 I want to meet Gayle Forman SO. BADLY. 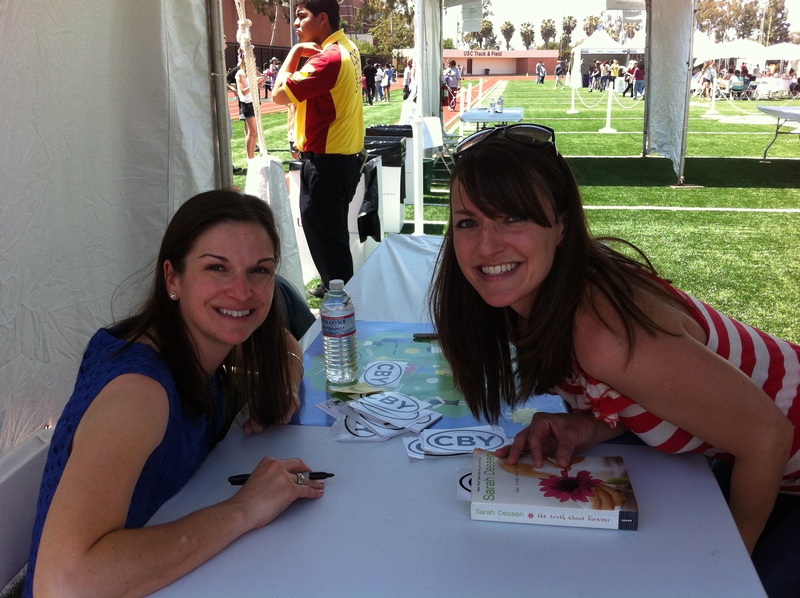 Isn’t Sarah Dessen great!? I actually just met her the other week (and shamefully haven’t read her books yet) but she was such a joy to listen to and so much fun! I would LOVE to meet Robin Benway! Must read more of her books ASAP! Also Known As was so much fun!